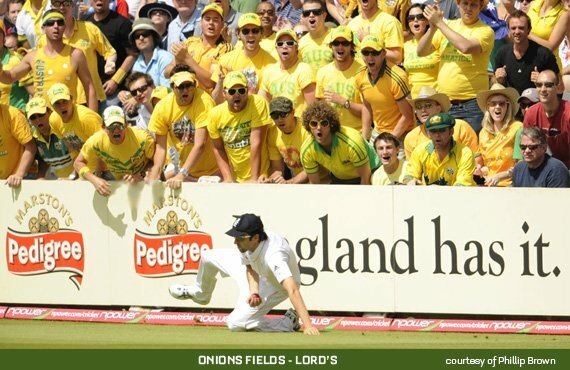 The Oval and Fielders | The International Cricket Hall of Fame. 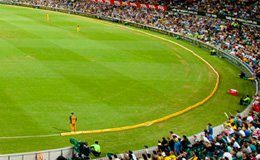 Cricket is played on a large circular or oval-shaped grassy field. There are no fixed dimensions for the field but its diameter usually varies between 137m and 150m. At top-class grounds, the playing surface is smooth and fast, ensuring the skills of the fielders are constantly tested. The Infield is the area immediately adjacent to the pitch where catching, or ‘attaching’ fielders are often positioned. 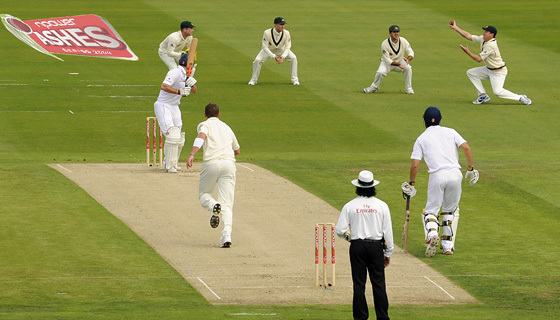 The Outfield is the area adjacent to the boundary beyond which the ball is ‘out of play’. 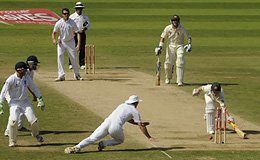 A cricket pitch is the central strip of the cricket field between the wickets. This is the area where the ball is ‘pitched’ or bowled and where the batters take strike and play the ball. 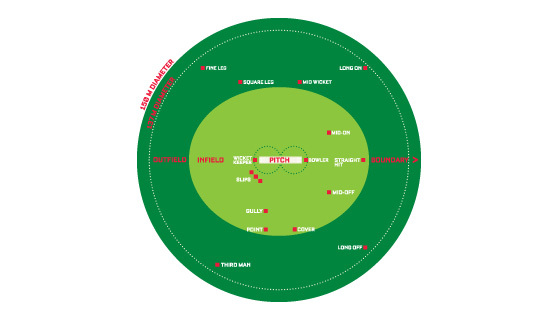 The surface of the pitch can dramatically affect how the ball behaves once it bounces. 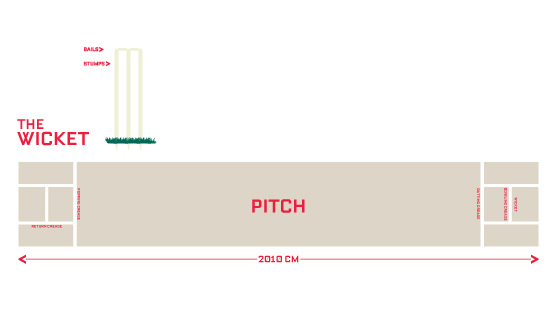 The pitch can be made from a variety of materials, including compressed earth, concrete and other artificial materials, and rolled grass (or turf). Prepared grass pitches are considered the finest playing surface but require constant maintenance and specialized care. They must be prepared by trained groundsmen (or curators) who water, mow and roll the pitch with purpose built ‘rollers’. Grass pitches are heavily affected by local environmental conditions such as temperature, humidity, soil type, moisture levels and sunlight. This determines the types of grasses planted and creates great variability between pitches. Grass pitches can now be grown in hothouses and ‘dropped in’ to the ground ahead of a major match. This allows major stadiums to host different sports events within tight time-frames. The wickets are the three stumps and two bails standing at either end of the pitch. The bowler aims for the wicket to try and ‘bowl’ the batter ‘out’. Fielders also try to hit the stumps when the batters are running between the wickets to affect a ‘run out’.